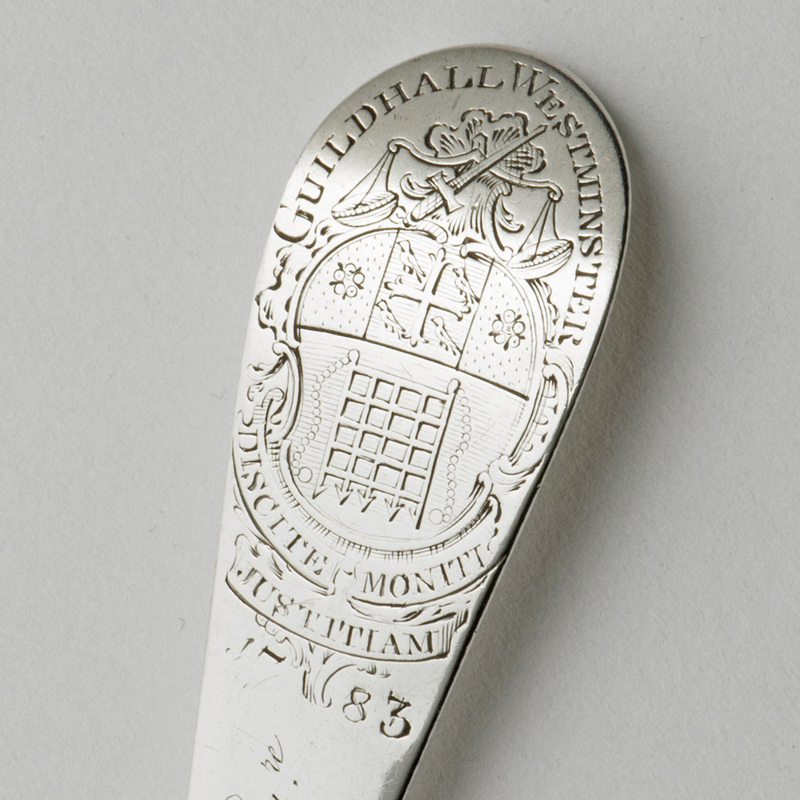 An 18th century silver Tablespoon from the Guildhall, Westminster. 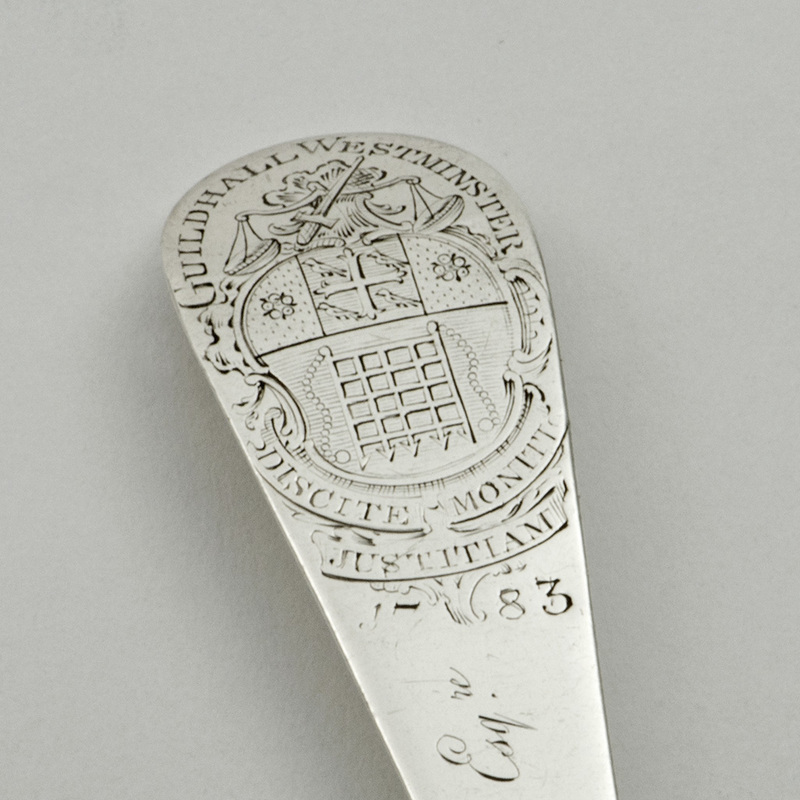 A George III hanoverian pattern silver Tablespoon, London circa 1760, the maker indecipherable: the reverse of the stem is engraved with ‘Guildhall Westminster‘ above the arms of Westminster and the motto of the courts of justice in Westminster: ‘Discite justitiam moniti‘. 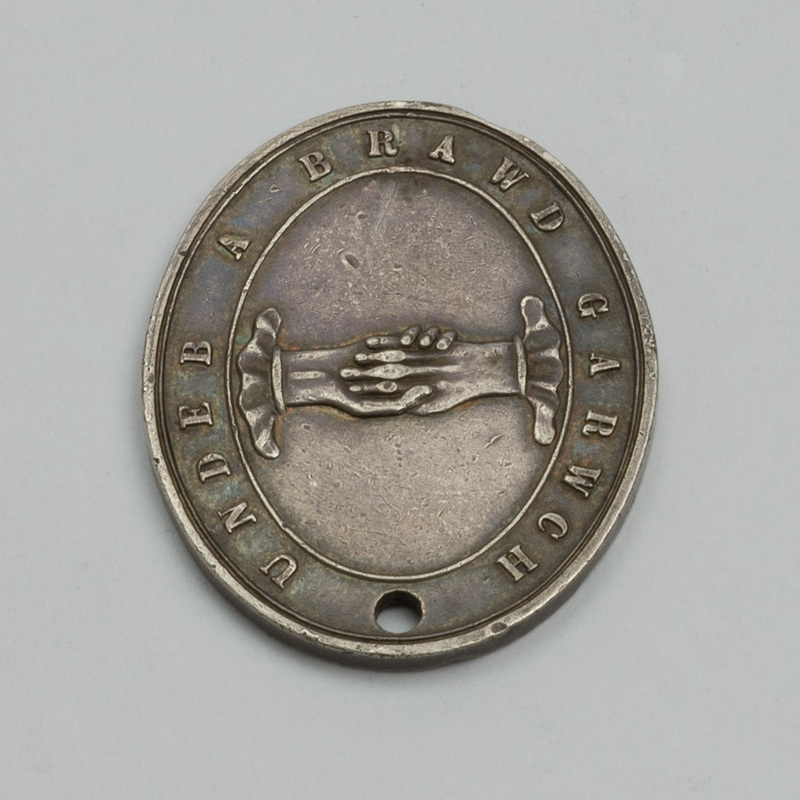 This motto was on a clock-house, the building once used by the courts opposite Westminster Hall. The Guildhall, itself, was used by the local government court of the burgesses of the City and Liberty of Westminster under the High Steward. A very small number of tablespoons survive, which clearly formed part of a set made for the Westmister Court, each of which is engraved with the name of a member of the Court. 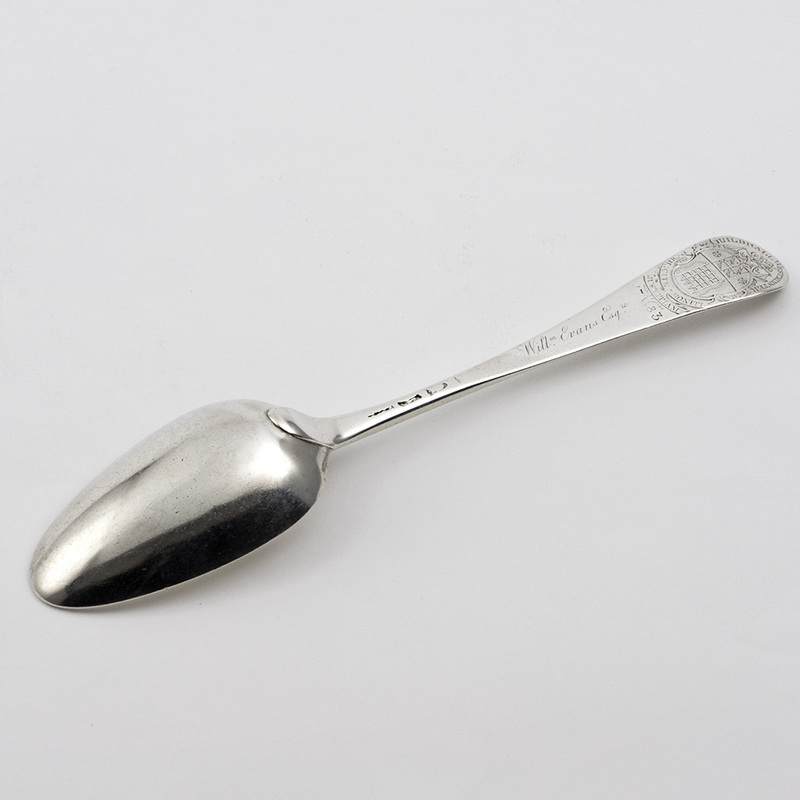 One spoon, London 1758, by Richard Pargeter, engraved with the name ‘Charles Hatchett Esq.’, was sold at auction by Woolley and Wallis, 28th October 2015, lot 661; another by Isaac Callard, London circa 1757, was engraved ‘J. 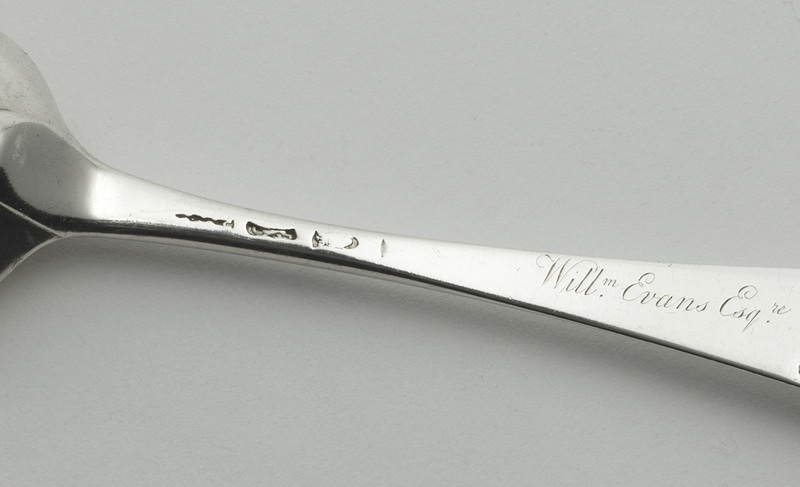 Wilson 1827’ [see ‘sold’ stock on this website]; a third is described, with an explanatory essay, on the website of Schredds, by Luke Schrager [http://www.schredds.com/pursuivant/westminster.htm] and has the name ‘Alexander W McKinnon Esq.’ engraved; two others are in private collections. 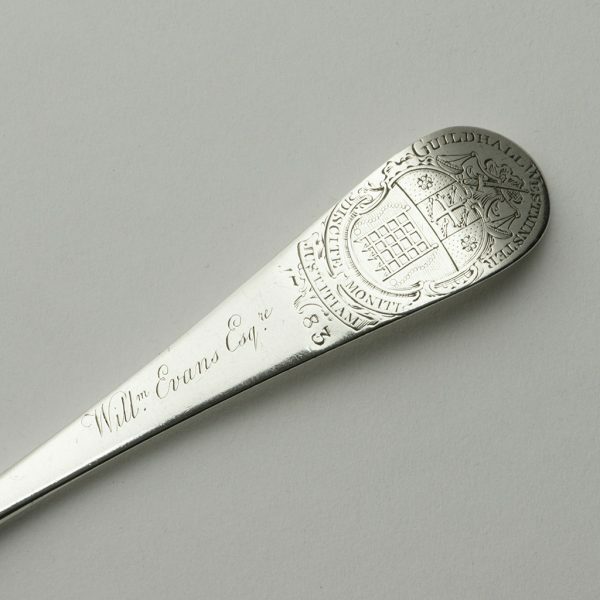 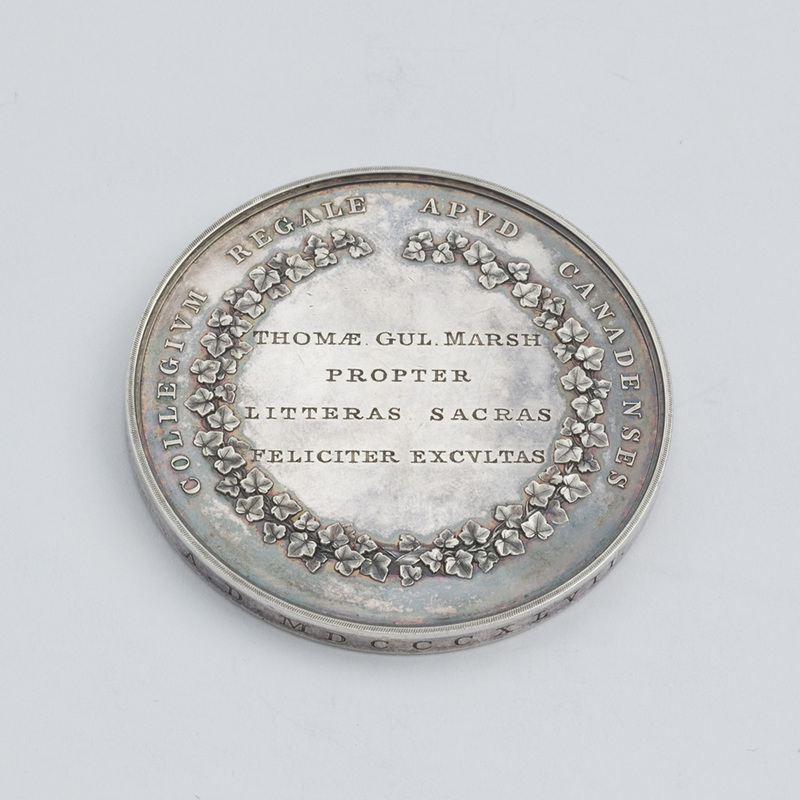 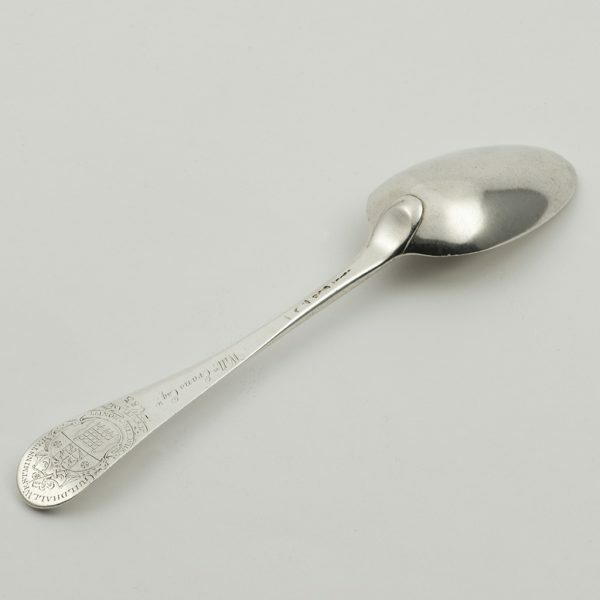 Send Enquiry for An 18th century silver Tablespoon from the Guildhall, Westminster. Good but with ‘squeezed’ hallmarks. 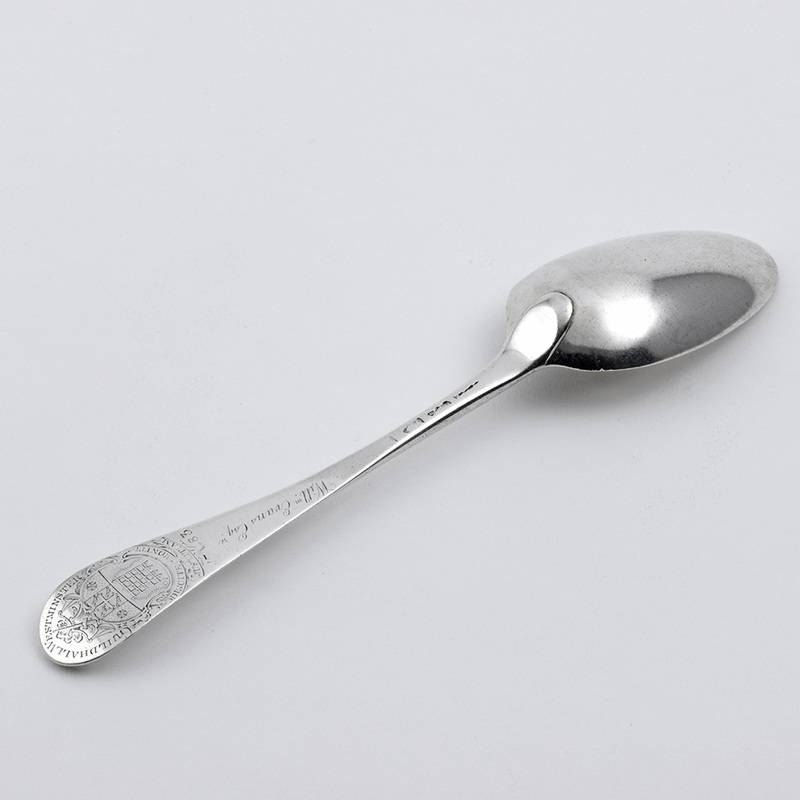 Length – 20.90 cm. 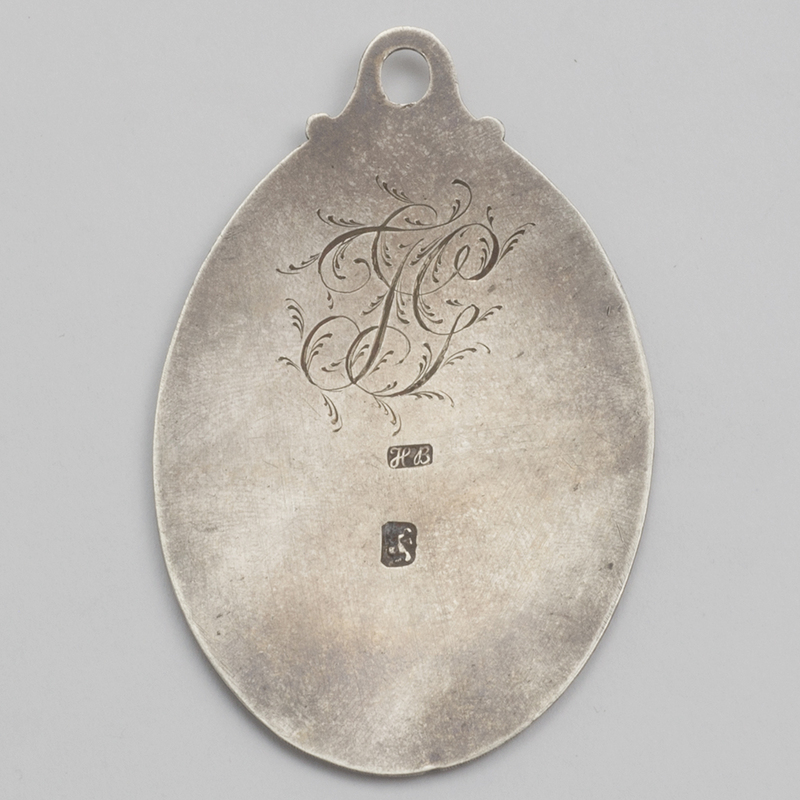 ; Width – 4.80 cm. 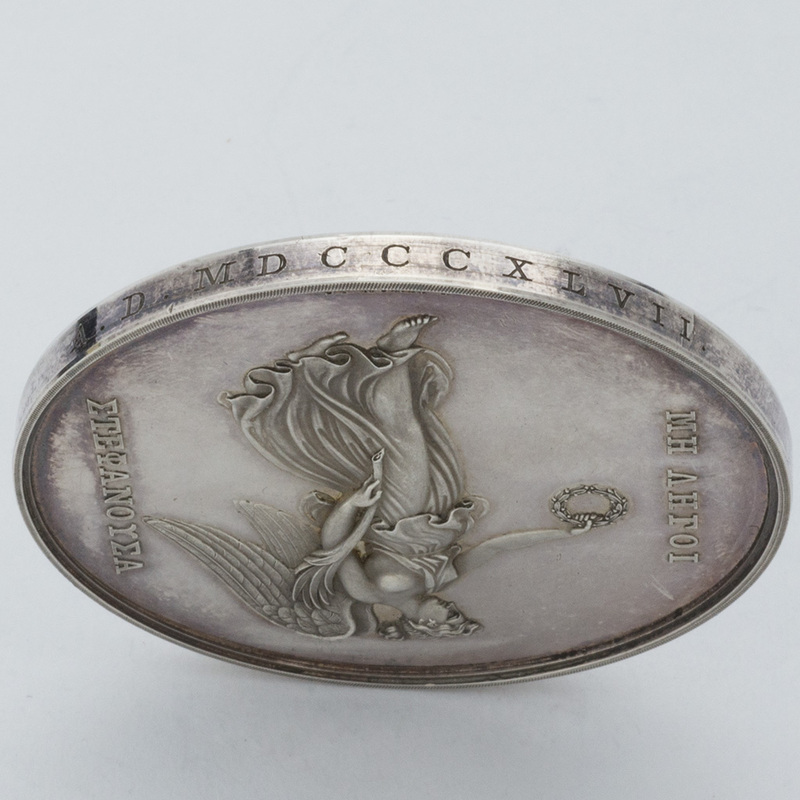 ; Weight – 70.20 gms. 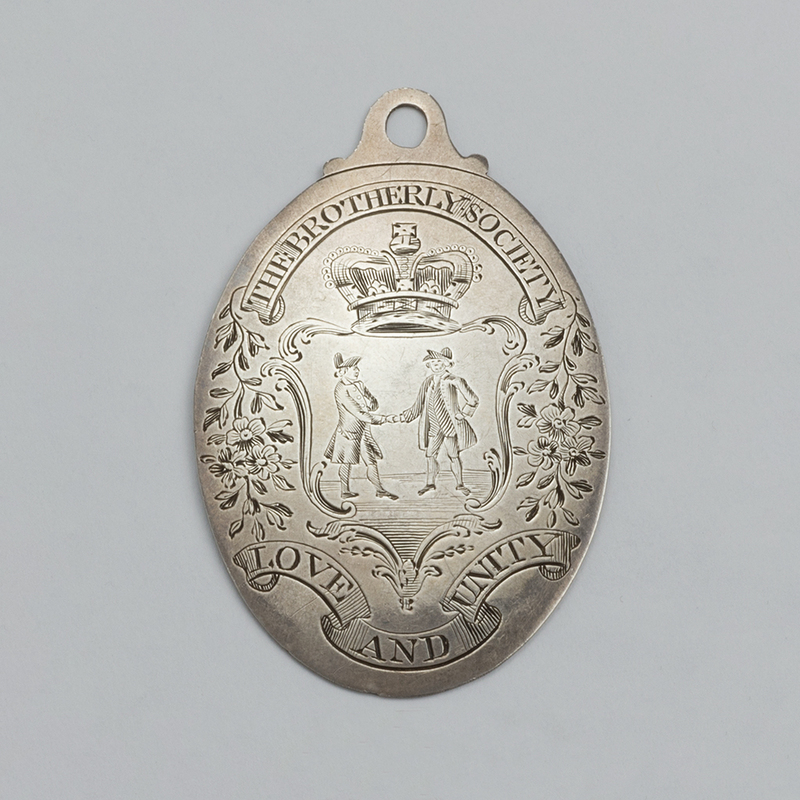 An unmarked silver Medal for the Adelphi Society. 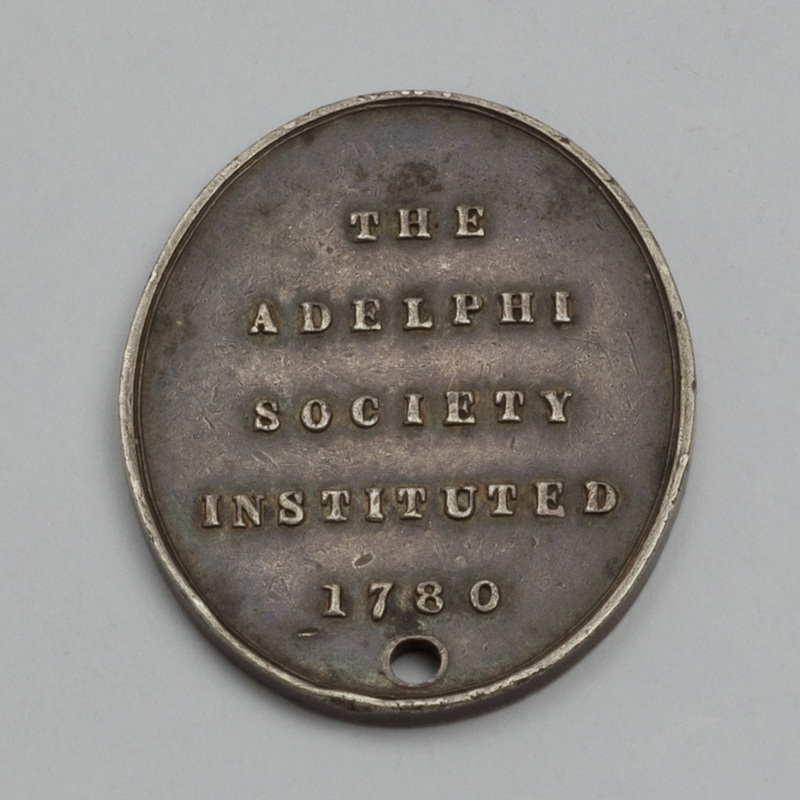 Send Enquiry for An unmarked silver Medal for the Adelphi Society. 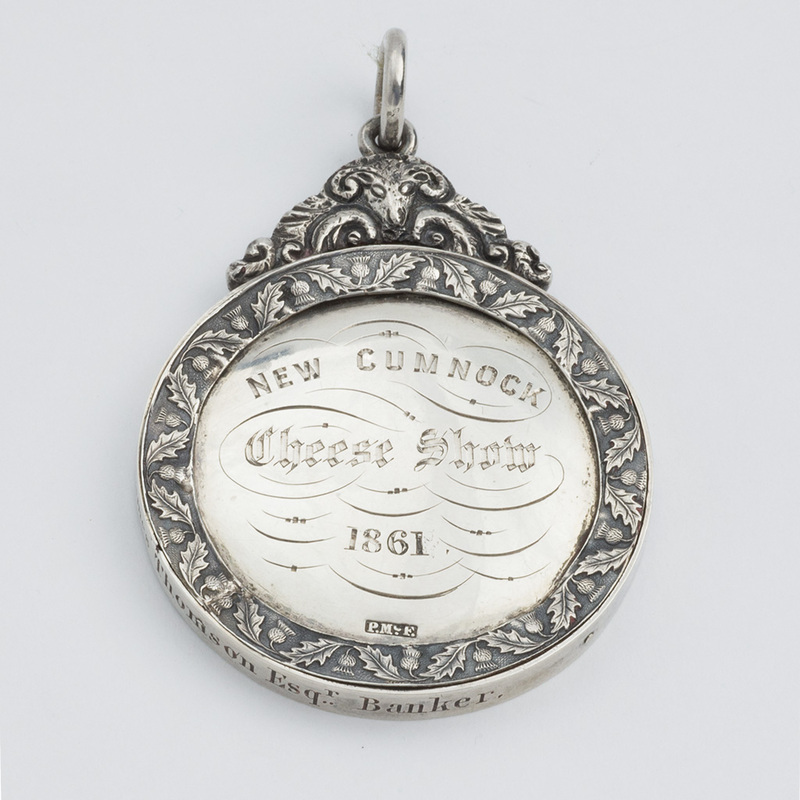 A Victorian Scottish silver Prize for Cheese. 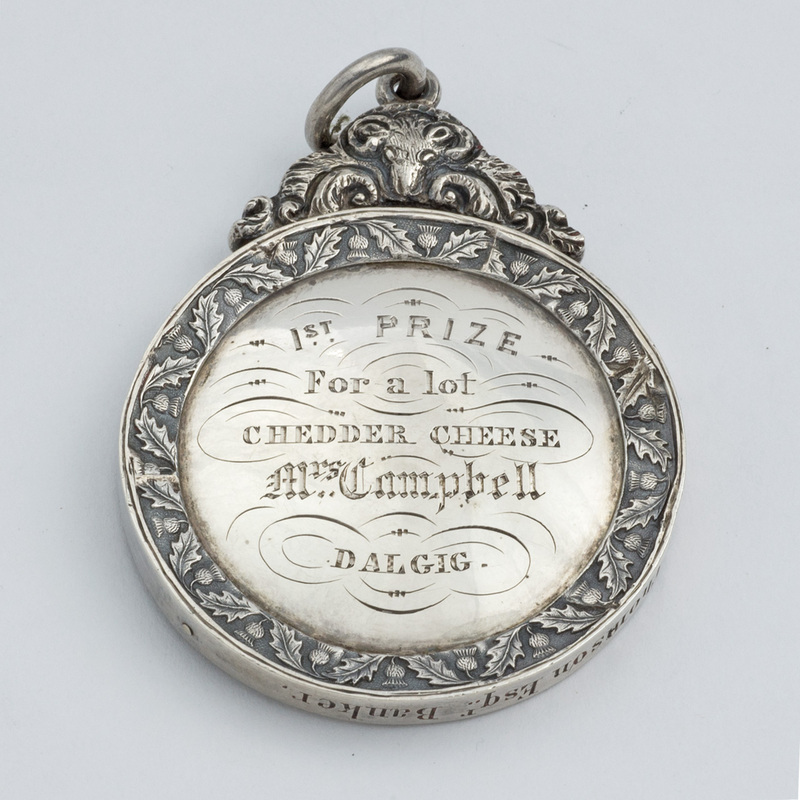 Send Enquiry for A Victorian Scottish silver Prize for Cheese. previous post: Anne Lechmere’s silver Tablefork. 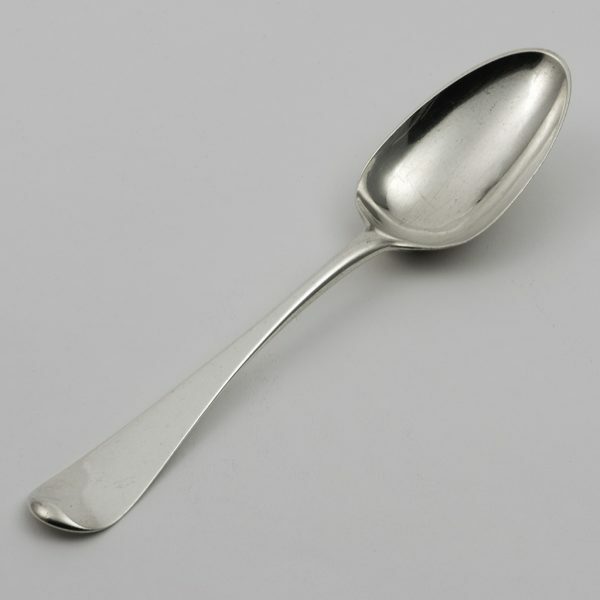 next post: An arts and crafts silver Dish by Spencer Carey Curtis.